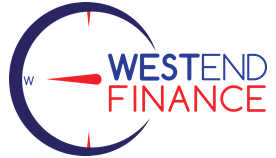 Hi, I’m Ben Rowson, founder and Director of Westend finance. I started my business because I want to help clients. I offer more than ten years’ experience and knowledge to help you understand the different loan options on the market today, and I will negotiate with the banks and financiers on your behalf. You are spoilt for choice at Westend Finance. I have access to 30 banks and financiers, and I can guide you through who is offering a great deal, as well as what loan product meets your circumstances. I know how important it is for you to get that tick of approval. More often than not, getting finance is the only way you can achieve your life-long goals and dreams. That’s why I don’t take my responsibility as your broker lightly. My promise to you is that you can expect brutal honesty and total transparency from me, always. You’ll never be left in the dark about any aspect of your finance; you’ll know exactly what you’re getting, no exceptions. And if you’re ever unsure about anything, I’m just a phone call or an email away. I spend time with you, to get to know your circumstances, your financial situation and your objectives before I do anything else. I also make sure you understand how credit works. Once I know all these things, I can confidently source the most competitive option for you – a combination of the best features and a great interest rate – that meets your needs and objectives. I’m 100% invested in and committed to you. I work hard, using my experience and knowledge to get you a great loan product and give you the best chance of success. Because being able to make that phone call to give you the good news is a feeling I’ll never take for granted.